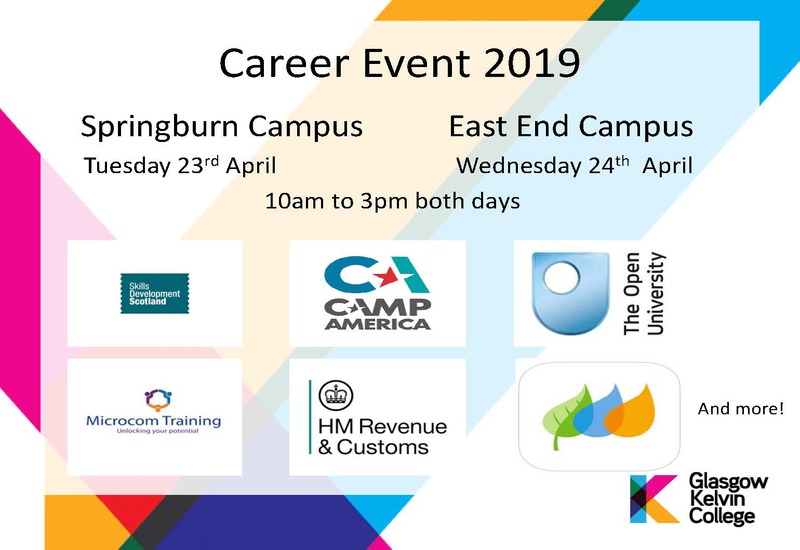 Glasgow Kelvin College will be holding a Careers Event in two of our campuses. East End Campus - Wednesday 24th of April. Both dates will be from 10.00 am to 3.00 pm. 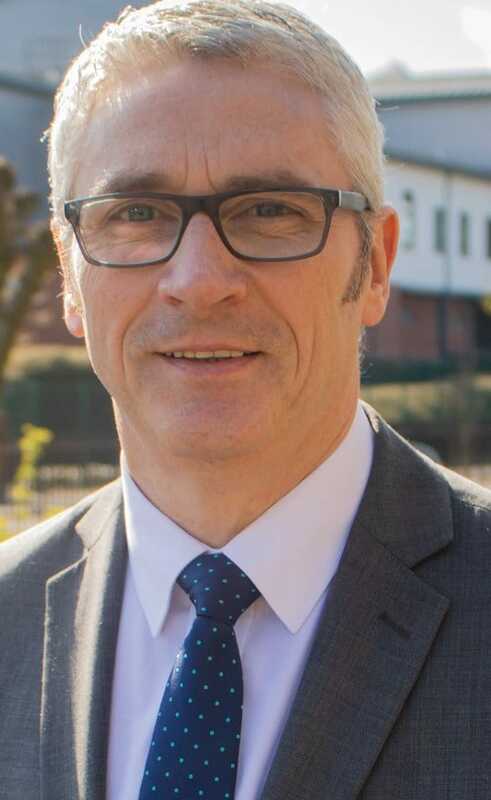 Glasgow Kelvin College is extremely pleased to announce the appointment of Derek Smeall as its new Principal and Chief Executive, effective from session 2019/20. Following a rigorous recruitment process, the College Board of Management is delighted that Derek, who is currently Vice-Principal for Curriculum, Planning & Performance at New College Lanarkshire, will be bringing his extensive experience and expertise to the role at Glasgow Kelvin. Super Student is Two-Time Olympic Medallist! 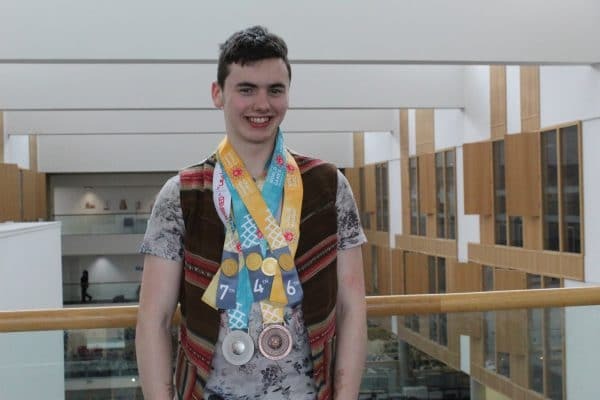 Glasgow Kelvin College student, Alistair Kemley, has triumphantly carried home two gymnastics medals from the Special Olympics in Abu Dhabi, a silver for the pommel horse and a bronze medal in the rings. Alistair, from Maryhill, is a Level 3 Steps to Employment student at the College. He is a member of the Bellahouston based City of Glasgow Gymnastics Club and has been involved with them for the last five years. With a training schedule outwith his strenuous coaching sessions of around 10 hrs per week, Alastair clearly shows that his enthusiasm, commitment and discipline have paid off and he was delighted to take the podium for his medal awards ceremonies in front of his proud Mum and Aunt. He is certainly passionate about his sport and thrilled to have been part of Team GB at such an exciting event. Alistair also has some unusual hobbies, in particular his practise of Reiki where he is training to advance his skills and knowledge. This has an amazing knock-on effect on his gymnastics as it helps his focus, positive-thinking and his breathing. The College is extremely proud to be part of the learning journey of such a remarkable and talented student and is looking forward to having him at Springburn campus for a further year on the Level 4 Pathways to Employment programme. Alistair hopes to progress beyond this into Fashion Design and Holistic Healing. Huge congratulations go his way for this achievement and the College’s thanks go to all staff who continue to support Alistair so well in the many aspects of his life and learning journey. Derek will succeed Alan Sherry, who is set to retire in the summer following a 32-year career in further education, as Principal and Chief Executive of one of Scotland’s most accessible and community-focused colleges. Derek’s early working life began with 15 years’ service in the Royal Air Force and as an avionics development engineer with Marconi Avionics. 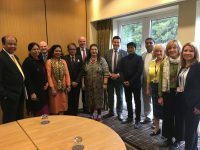 A graduate of the University of Stirling and the Open University, he began his 19 year career in further education as a Lecturer in engineering, progressing to Curriculum Manager, Head of Faculty and then Senior Management. Derek’s life was changed by his first year in the classroom. A challenging year but one that ignited his passion for learning and teaching and instilled a pride in an education sector which gives everyone a chance to change their lives. It is anticipated that Derek will take up his post on 1st August 2019. 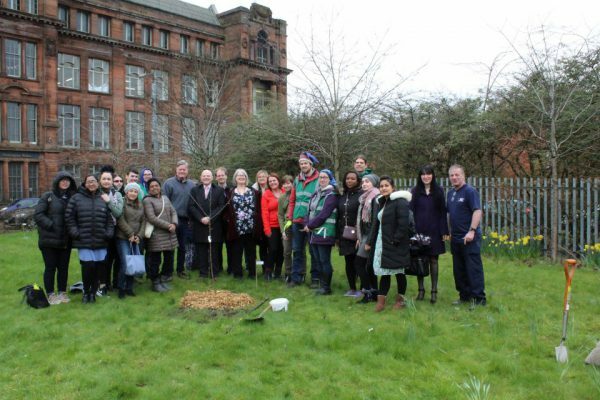 This week, Glasgow Kelvin College was delighted to be taking part in the planting of a Community Orchard at its Springburn campus. The aim of the Orchard is to create a legacy whereby fruit grown can help to promote the importance of healthy eating, build a sharing community and support nature. 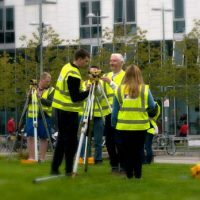 The original design and plan came about from collaboration between the College’s Support for Learning lecturer, Ian McIlroy, and The Orchard Project’s Glasgow Project Manager, Fergus Walker. Key to this were the important ideas and contributions from two groups of students within the Support for Learning department (Volunteer Award Level 3/4; and Skills for Learning, Life and Work Level 2). The planning process provided students with numerous learning opportunities, including working as part of a team, gaining knowledge about fruit tree species and their vital role in creating habitats for increasing biodiversity, and, very importantly, developing the design of the Orchard. 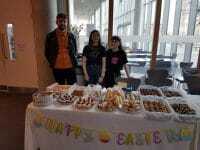 The Orchard is yet another strong example of the College’s commitment to its sustainability agenda, while also contributing to healthy eating in the local community. The planting day was a great success, with at least 20 fruit trees and bushes, including Apple, Plum, Pear, Raspberry and Saskatoon(!) planted by over 30 students and members of College staff. Fergus told the group that it would probably be about 10 years before the fruit trees reached full maturity, although the fruits of labour would arrive a little bit sooner! 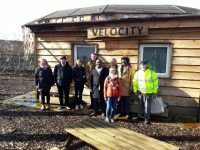 College students, staff and the Orchard Project are pictured with their first tree – a Clydeside Apple.